How to make money online by blogging, without any expense? You might have thought that it is not possible to make a profit without spending anything. But the truth is, its possible. We could make a handful of money without even spending a penny. Before we get into the actual content just keep in mind that blogging is not just a hobby, time pass or anything like that, Blogging is an actual business. Here contents are your products and audiences are your customers. We all know that a great business leads us to bigger profits. So why can’t you make money online by blogging? I would be telling the best possible way to make money online without spending a penny from your pocket. Which Platform is Free and Best for You? There are many free blogging platforms which could help you to make money online. These platforms have a lot of defects too. But the best free platform that comes out with more features is Blogger. Blogger is owned by Google and this makes it more interesting. Using blogger you could be free from security thoughts because google manages your site’s security. Still, since you don’t have access to the hosting and cPanel etc you would be limited to the features that you could get with a self-hosted WordPress. Check this post to know more about Blogger and its features. How to set up a website/blog at blogger? Let’s see how you could set up a website/blog on blogger. Blogger is the easiest platform. You could create awesome looking websites with it. There are a lot of themes (free/paid) available for blogger. Even if you don’t have any technical knowledge you could make a blog at blogger. That’s all for creating a new blog at blogger. Now you could start posting your posts and make your website content rich. Create proper pages like About, Contact, Policy Privacy etc. 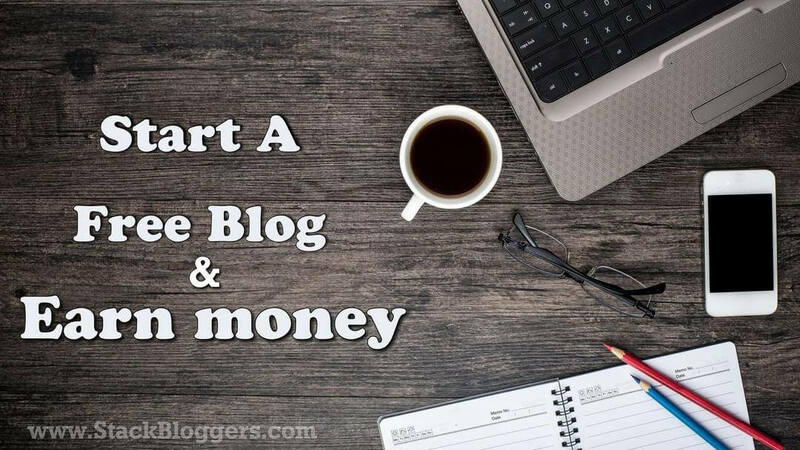 Now that you have done creating a new website, Let’s take a look at the ways to make money from your blog. When it comes to earning Adsense is the best choice. You could earn a good amount of money even when you are having low traffic. You could get approved for Adsense easily if you follow these tips that we have provided in our post: Approved ways to Earn Money online. There are chances for you not to get approved by Adsense. Don’t worry there are many ways by which you could make money and one of them is Affiliate Marketing. This is a good way for earning for someone having a good niche website. Yes, you website niche and traffic does matter a lot when it comes to affiliate marketing. Some of the best affiliates are been listed below. How to make money in mixed niche blogs? Mixed niche bloggers have a very tough time in earning money from their blogs. So if you are a mixed niche blogger I would prefer you CPM advertisements. By using this type of advertisements you could make money for every impression. Some of the best CPM advertising networks have been listed below. So start a free blog and make money online from today on wards. Keep in mind that blogging is not just a hobby or a timepass it’s a Business and a business will have losses and gains. Do your part and work hard you could definitely be the best business man. It could be the problem with the browser. Update it or use chrome. Great post. Blogging is the great way to start making money from online. know the Ƅest way to make God happy. I need some help with monetizing the blog. I actually already have blogs up and running but the thing is i was only engaged with adsense and infolinks as the methods to be used. I lacked traffic early but after hard work i have built a good traffic and strong following that makes me feel like i should integrate with affiliate market and promote products of my niches. Only issue that has accrued is i have no insight on any affiliate program and it’s disturbing as there are so many options out there and i have no idea what to choose. There is this one that came across my search and this program is selling data of stores and offering 100% commission on sales with free CMS tools which is eye catching. If you can help me choose something out of this program revglue(. )com/free-wordpress-plugins or can recommend me something that would be great and appreciated. It’s quite hard to choose a proper advertising. I have used almost every best program out there and to be frank now of them will earn you much. I recommend you to promote your own products or create your own advertising option on your website. Keep a certain amount for banners, links etc. Or if you need to keep things simple use Adsense they are the one who pays more relatively. You could email me [email protected] for more information.